More often than not, the success of any business is measured based on its popularity, share capital, and its asset base, among other things. As a matter of fact, some of the biggest names in entrepreneurship are ranked based on their net worth in terms of their investments and assets. Whether you’re a startup or a developing business, it is important to keep your assets protected at all times. And keeping your assets secure may involve a myriad of measures, including protection from lawsuits, foreclosure, theft, and much more. Better yet, the term asset encompasses more than just tangible objects such as cash and property in the world of business. Without losing track of the main idea, here are 5 tips to securing your business assets you should know about. When launching your business, you can choose between a sole proprietorship, a partnership, an S corporation or a limited liability company (LLC). While taxation is often a nightmare to many, asset protection is one of the major advantages of LLCs and S corporations over the alternative entities, especially from exposure to potential lawsuits. Despite the much advancement in technology today, keeping records in hard copy files and folders on site remains to be a huge advantage for many businesses. As a matter of fact, there are documents that are still required in hardcopy to prove ownership or lien. Some good examples include property title deeds, motor vehicle titles, log books, employee contracts, client contracts and many more. Keeping such documents under lock and key will help protect your business assets in more than just a few ways. After all, banks, insurance companies, health institutions, and government agencies keep them for a good reason. 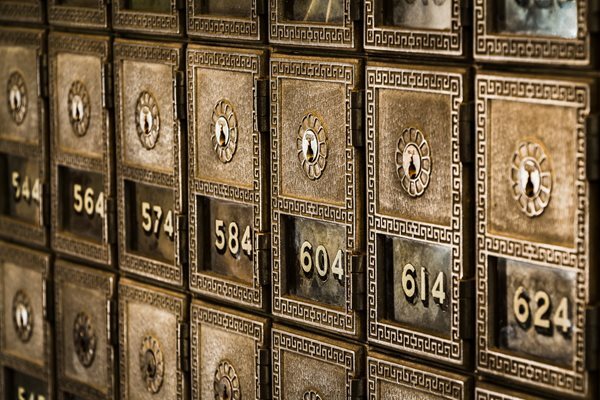 And so to speak, protection will mean keeping physical records in safes that protect them from theft, unauthorized access, fires, and other natural disasters such as floods. Cash for regular office expenses should also be stored in a highly secure safe and limited accessibility measures be in place to minimize the chances of theft or mismanagement. When starting a business, it is crucial to include insurance in your budget. Although there are many types of business insurance, they have one main thing in common… they protect your property from certain lawsuits, some of which could bring your business to its knees in the snap of a finger. The best insurance policy will depend on the type of your business, so be keen when purchasing business insurance. Regardless of industry, your personnel is one of your business’ greatest assets. To protect this inarguably crucial asset, you’ll want to create a safe and secure working environment that promotes workplace fairness, comfort, and integrity. This also involves adhering to workplace safety regulations, having security systems that reduce the risk of theft; and creating an environment that suits their career development. A happy employee is a loyal employee. We can’t shy away from the fact that today’s world of business involves working with computers and lots of digital files. Most businesses also rely on cloud services to backup their data, some of which may include sensitive company or client information. But then again, hackers, viruses, and Trojan horses are always marauding to damage, corrupt, or steal this digital information. Losing certain files may expose your business to lawsuits and other consequences that may cause it to lose its assets in the long run. This makes it crucial to always ensure you have measures in place to protect your digital files and secure your business assets at all times. And there you have it! With the above few pointers, you can be sure of tighter security for your business assets, which is the joy of every entrepreneur.